Simon Porte Jacquemus definitely has a thing for all things straw, evident in the extra large La Bomba straw hat that he unveiled back in his Spring-Summer 2018 show. A year later, models walked down the Spring-Summer 2019 runway with another show-stopping straw piece, the Le Grand Baci which is essentially an oversized maxi bag that’s large enough to carry everything including the kitchen sink. 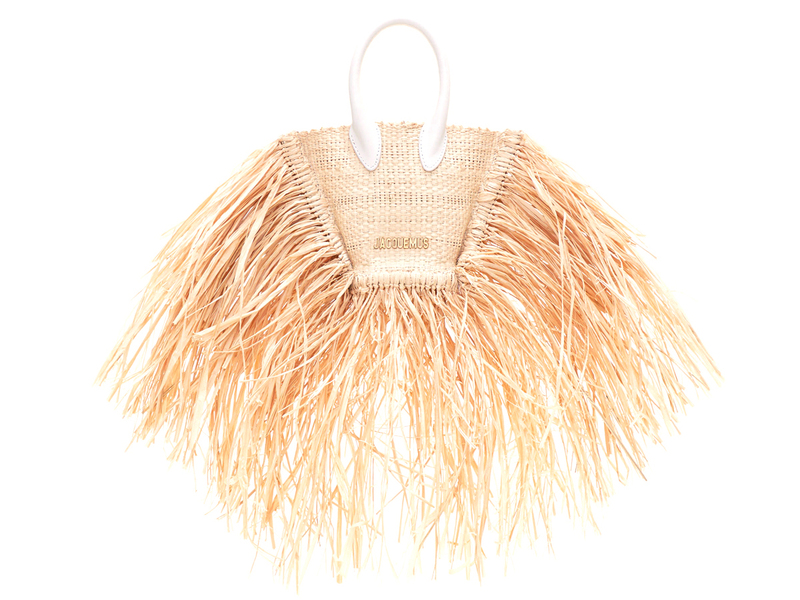 Way too big for everyday use, you could, however, consider its smaller sister which comes in the exact same silhouette, down to the excessive raffia fringe at the sides. Measuring way smaller at 16.5 cm by 14 cm, the Le Petit Baci is made of 100% raffia and comes furnished with leather handles and an extra white leather shoulder strap that’s perfect if you’re all for keeping things hands-free. With ample space for a lipstick, sunscreen and a tiny cardholder, the Le Petit Baci makes for the perfect summer piece to carry with you to the beach or a quick afternoon out with the girls. Currently available in a single colour, Beige (USD408) you can purchase it directly from Jacquemus’ e-store, which does offer shipping to Singapore at an additional cost of USD18.